LocationCompanion helps you navigate through complex buildings, increasing the accessibility for everyone. 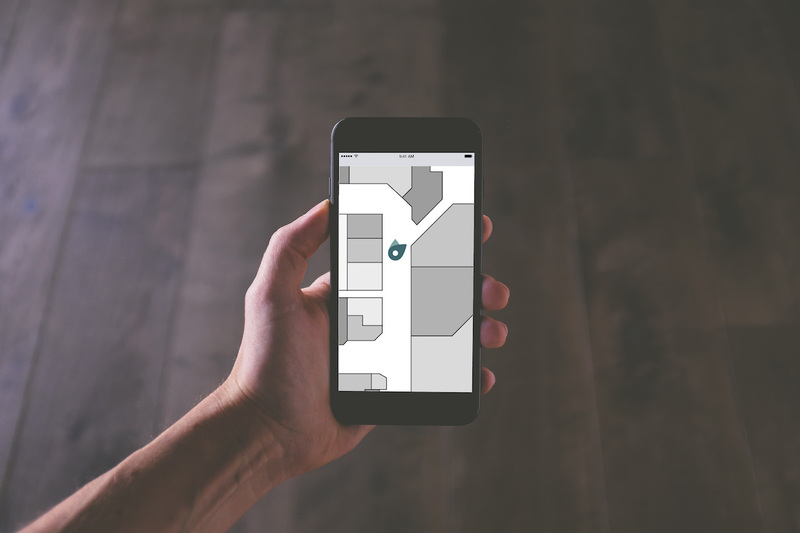 LocationCompanion is an indoor navigation system that guides the user to the desired location in a building or at a site, in a simple, fast and intuitive way. LocationCompanion makes use of state-of-the-art wireless technology to provide you with location-specific information and indoor navigation directly on your own smartphone. The universally designed system makes use of voice over, signals, maps, text and animation to guide people to the right place. LocationCompanions main purpose is to help people find their way on their own around complex buildings. The user interface is through an application on your own smartphone. The system can be implemented at selected buildings, e.g. shopping malls, public buildings, office buildings, educational institutions, hospitals or stadiums. LocationCompanion makes use of Internet of Things technologies to enabling indoor navigation in an innovative way. It provides you with location-specific content and indoor navigation. Beacons are small wireless units transmitting a predefined Bluetooth Low Energy (BLE) signal. The information stored in the signal is received by a BLE compatible unit – typically a smartphone or a tablet. Preinstalled apps on the unit translate the BLE information received into defined actions in the apps. The beacons are usually stationary while the receiving units are moving as their users move. Possible use is to provide indoor navigation and context relevant location information. This could be useful information about a specific item in an art museum, walking guidelines for indoor navigation, menus and ordering information in restaurants, mobile payment in stores, relevant shopping offers in a store and specific coupons.